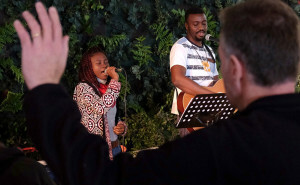 MISSION: POSSIBLE was the theme for the 11th annual Calvary Chapel Africa Missions Conference held in Cape Town, South Africa. And this year it was bigger than it has ever been! Over 300 visitors packed the conference hall as they sought to align their lives with God’s will, and especially His call to missions. 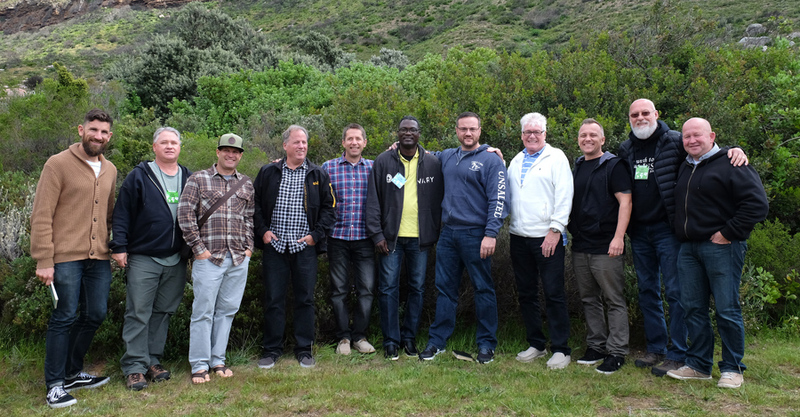 The four day conference featured pastors and guest speakers such as David and Inga-Lill Guzik, Malcolm and Carol Wild, Jason Stead, Chad Naaktgeboren, Doug Search and Donne Pouguini (from Ghana). Each one of them ministered the Word faithfully, allowing the Holy Spirit to do the work in our hearts and lives. There is always such a special blessing when God’s children gather together in unity in the name of Jesus. His presence blesses us; it brings peace and refreshment to our souls. Leading worship at this year’s conference has been especially different because I could see and feel such unity among every person involved in the worship ministry. One thing that almost brings tears of joy to my eyes during worship is when the whole congregation joins wholeheartedly in the worship of God. Its like we don’t need the music, just our hearts singing to the One who cleansed them. And I felt there where a lot of those moments at the conference. As we stepped into a new season for our family, moving to Cape Town to assist the churches here in South Africa and beyond, it was incredibly refreshing to be a part of the Africa Missions Conference. 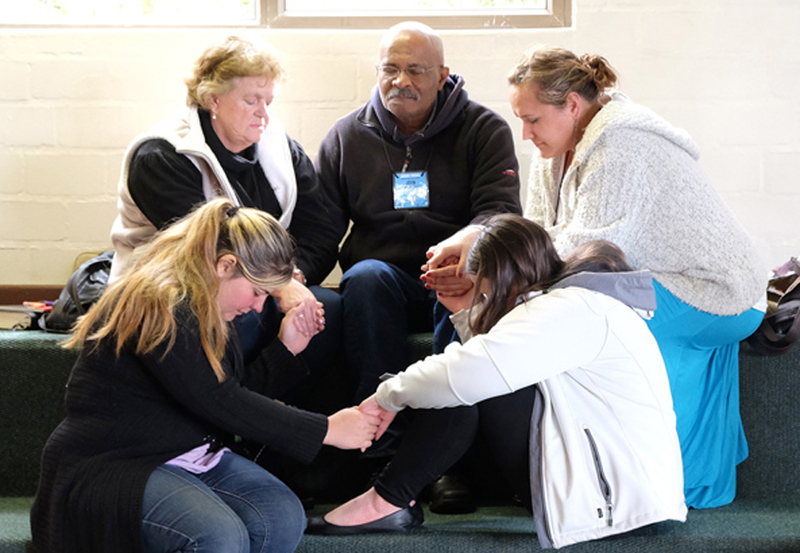 It was evident that in the last year God has been doing a deeper work in the lives of the people and through the churches here throughout South Africa. The teaching and times of prayer seemed to weave a theme of faith and dependence on God and His desire to reach the nations. The portion in the Gospels where Jesus told His disciples to pray the Lord of the harvest to send out labourers, came up so frequently, before and during the conference. The conference was a time of learning from labourers who has taken part in great harvests all over the world, what a privilege to take notes from their teaching. Something that really ministered to me at this year’s conference was the group/prayer time. Not only did it help us to fellowship with people who may have ‘missed our radar’ otherwise, but it also created the space for us to get prepared for the message. It made us think. It made us invest. It also gave us that great opportunity of praying for one another, of bringing our brothers and sisters – whom we may have just met, but are united with us in Christ – before the Lord. 1 Peter 3:15 has always been one of my favourite verses: “… sanctify the Lord God in your heart”. And because our hearts are set apart for God’s purposes on a daily basis, it makes sense to set a couple of days apart, away from the distractions that a normal working and home life brings, to hear from the Lord. There is something very special about dedicating a few days for this purpose. And because God is faithful, going with an expectant heart never disappoint! We hoped and desired to be revived by God through His Word, to get specific direction for the coming year, and grow in our love for missions and learning to see the world as Jesus does. Every year we feel like Mary, feeling tremendously blessed to be able to sit at Jesus’ feet. This year was extra special to have my wife next to me during the sessions as there was a children’s ministry team that looked after our children. It was a blessing to be able to discuss the truths that was taught, applying it to our lives. Having a children’s ministry team present frees up the parents to be focused and to hear what the Lord has on His heart for them individually and as family. It is also important that the children of believers learn to and cultivate a love for the family of God. 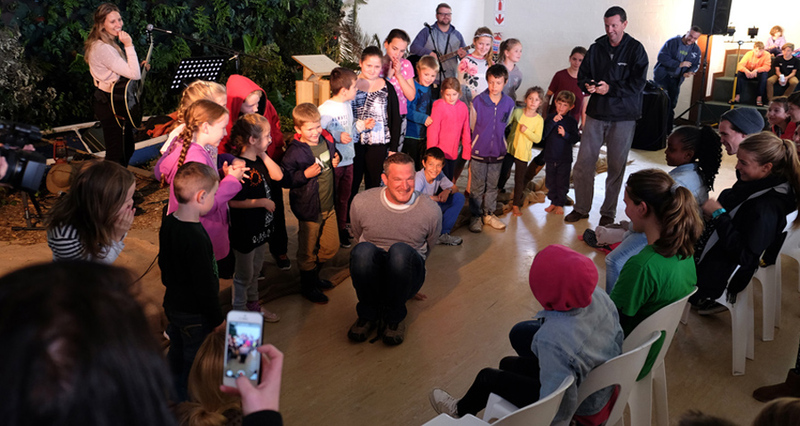 Our eldest daughter loved the children’s ministry sessions so much that she didn’t want to leave when we had to pick her up. We praise God for His faithfulness in bringing the 2016 Africa Missions Conference to pass, knowing full well that without Him none of this would have been possible, and for how He ministered to each person who attended this year. Continue to pray for the works that He has begun and for those He called to be obedient to His leading. It is incredibly exciting to see how God is working on the great continent of Africa and are looking forward in anticipation to the 2017 Africa Missions Conference!